Meghana Raj was born on 3rd May 1990 in Bangalore, Karnataka state. She attended Christ University, Bangalore and holds degree in psychology. As her parents were also actors it was very easy for her to enter films and theatre. She started her acting career as theatre artist when she was just kid playing small role in Jokumaraswamy play. Tamil director K. Balachander saw Meghana Raj during the audio launch of Tamil film Poi in 2006 and offered her lead role in his film Krishnaleelai, but the film was delayed at last stage of production. Her first released film was Telugu movie Bendu Apparao R.M.P in 2009 co-starring Allari Naresh and Kamna Jethmalani, the film was a huge hit. 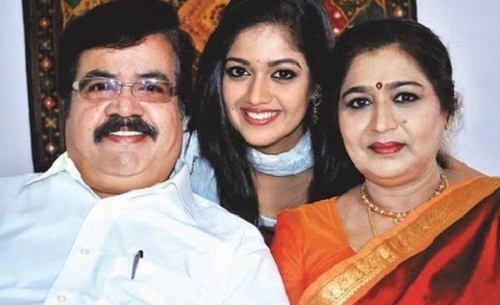 Meghana Raj subsequently appeared in numerous blockbuster hits like Beautiful co-starring Jayasurya and Anoop Menon, Memories co-starring Prithviraj, Vijayaraghavan and Mia George, Raja Huli co-starring Yash, among other films. She was born to Sundar Raj and Pramila Joshai, both of them actors. 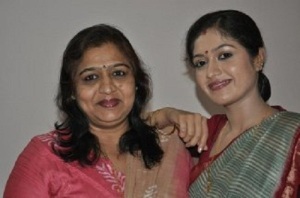 Her father Sundar Raj is well known Kanada actor who acted in around 200 Kannada movies. Her mother Pramila Joshai is also an actress who appeared in hundreds of supporting roles in Kannada films, she also ventured into film production.